Ugochukwu Ekwuribe, 35, bricklayer was allegedly stabbed to death over a N200 debt owed to his suspected killer. Ekwuribe’s father, Andrew Ogazi, a security man, said that the incident happened around 7.30 p.m. last Friday. 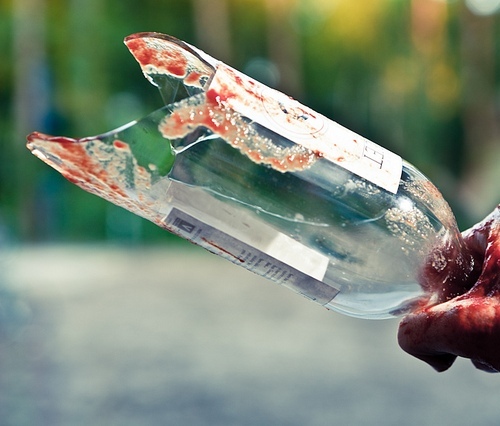 he said although he was at home when the murder happened, several witnesses told him that his son bled to death after he was stabbed with a bottle at a beer parlour located at Itaja-Olokoro. He said that he immediately rushed to the scene of the incident where it was confirmed that the deceased was stabbed during a fight with the suspect. The suspect, identified as Tochukwu Azuonye, popularly called Tobinto, is said have allegedly accosted his son at the bar and asked him to buy him a bottle of beer. “’My son was reported to have promised that he would oblige him his request the following day being Saturday,” Ogazi said. He said that the suspect, not satisfied with the promise, demanded that the deceased pay him the outstanding N200 he owed him for the towel he sold to him. “I learnt that from there, a fight ensued and the suspect grabbed a bottle at the bar, broke it and stabbed him on the left arm. “He reportedly bled profusely from the deep cut until he slumped and was rushed to a nearby maternity at Ahia-Ukwu Olokoro for first aid,” he said. He explained that the deceased was rejected at the maternity and referred to the Federal Medical Centre, Umuahia, where he reportedly gave up the ghost, shortly after doctors started treating him. A senior police officer at the state Criminal Investigation Department confirmed the incident , saying that it was transferred from Ubakala Police Station but that “full investigation had commenced,’’ promising that the suspect who is currently on the run “will certainly be apprehended’’.